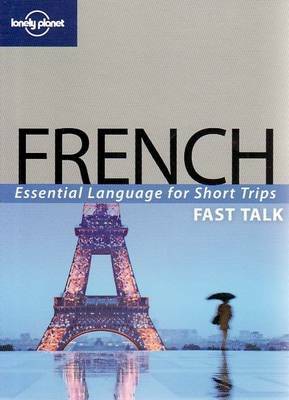 "Lonely Planet's Fast Talk" series provides you with all the basics for a short trip or weekend away in a practical pocket-sized format, making sure your stay is fun, easy and hassle free. This title features a food section with market and restaurant language plus quick menu decoder to indulge in local cuisine. It offers phrases to get you to tourist attractions in and out of the city. It also features browsing, bargaining and buying language to make your shopping a success.